On arrival at Abu Road station, proceed to Mount Abu. Upon arrival in Mount Abu, receive a transfer to the hotel and enjoy the evening at leisure. Stay overnight at the hotel in Mount Abu. After enjoying breakfast, visit the Guru Shikhar & the famous Dilwara Jain Temples. Thereafter, enjoy boating on Nakki Lake in the evening followed by a stroll down the bazaar up to Sunset Point that offers wonderful views of the setting sun. Stay overnight at the hotel in Mount Abu. After enjoying breakfast, proceed to Udaipur. On arrival, receive a transfer to the hotel followed by an enjoyable boat ride on Lake Pichola. Stay overnight at the hotel in Udaipur. After a hearty breakfast, embark on a sightseeing tour with a visit to Sahelion-Ki-Bari & Maharana Pratap Smarak. Thereafter, proceed to visit the Museum of Folk Arts, Vintage Car Museum followed by visits to the City Palace & Crystal Art Gallery. Stay overnight at the hotel in Udaipur. After enjoying breakfast, proceed to Pushkar. En route, visit the Great Chittorgarh Fort. On arrival in Pushkar, transfer to the hotel and thereafter, visit Pushkar Kund & Brahma Temple. Stay overnight at the hotel in Pushkar. After enjoying breakfast, proceed to Jaipur. Upon arrival in Jaipur, receive a transfer to the hotel. Thereafter, visit Birla Mandir in the evening followed by some free time for shopping. Stay overnight at the hotel in Jaipur. 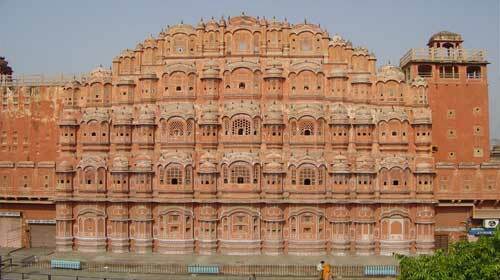 After breakfast, proceed for a city sightseeing tour of Jaipur covering Amer Fort, Hawa Mahal, City Palace & Jantar Mantar. Enjoy the evening at leisure. Stay overnight at the hotel in Jaipur. After breakfast today, check-out from the hotel & receive a transfer to airport/railway station to continue on you onward journey.